Getting Ready to Meet The Mouse. My kids have done their fair share of traveling. More times than I can count we have been asked by other airplane shuttle passengers if we're going to Disney World while riding from the parking lot to the airport. I guess they see a family with kids and assume that we're going to meet The Mouse. The kids, who always know where we're going, always look to us in these moments with wide eyes as if we've been lying to them. "No, guys. Where are we going? ", I ask them while they look crushed. I'm happy to say that our time is finally near. Just when you think a trip to Disney can't get any more exciting they Fed Ex you with news. 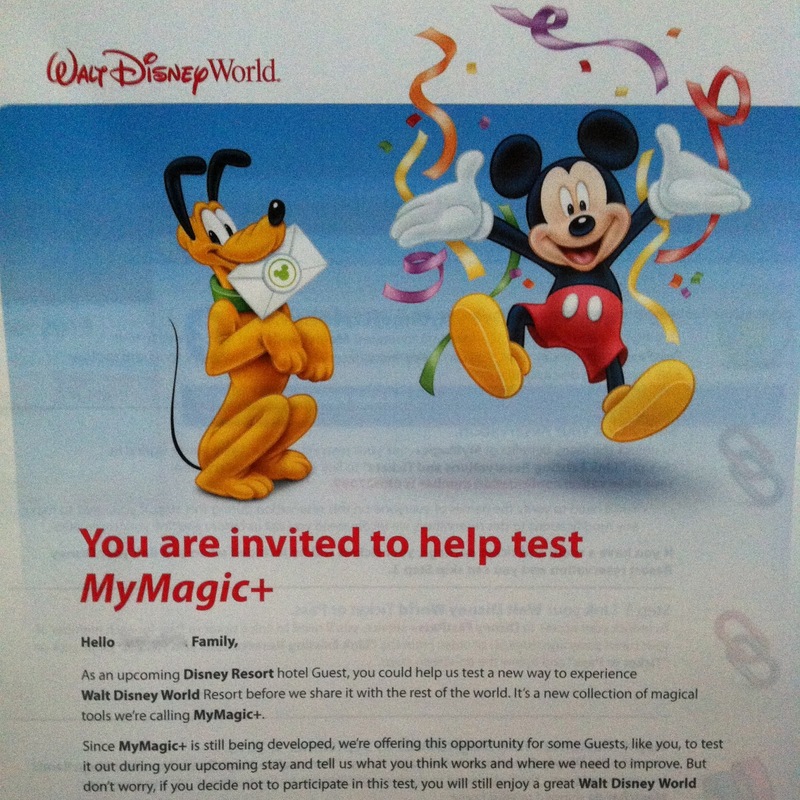 I had heard of Magic Bands before so I already knew how awesome this was going to be. All of your information - room key, meal plan, reservations, Fast Pass selections, etc. are loaded into one bracelet that way you don't have to carry separate cards or ID's. We went online, selected our colors and days later they were delivered. A perk of where we're staying is being able to pre-select our Fast Pass times which means we won't have to race to scan for ride times at the park therefore we won't miss out on any rides because they're too busy. So that's it! All the planning is done! I'd say I wish we were leaving tomorrow but I have some packing hurdles to clear first. More on that later though! wow, they are sure getting fancy these days! Love that you can pick your band color...woot woot! Can't wait for you to experience the most magical place on earth!